Those Muslims with wealth should give willingly to avoid disturbing scenes like this. That which comes out of the ground from crops and fruit. How is Zakāt on cash measured? Is it connected to the Nisāb of Gold or Silver? It is known that the nisāb value of silver in this time is less than the nisāb value for gold. So when a person has paper currency whose value has reached the nisāb of silver, then he pays Zakāt on it. The nisāb of silver is 595 grams (or very close to that). 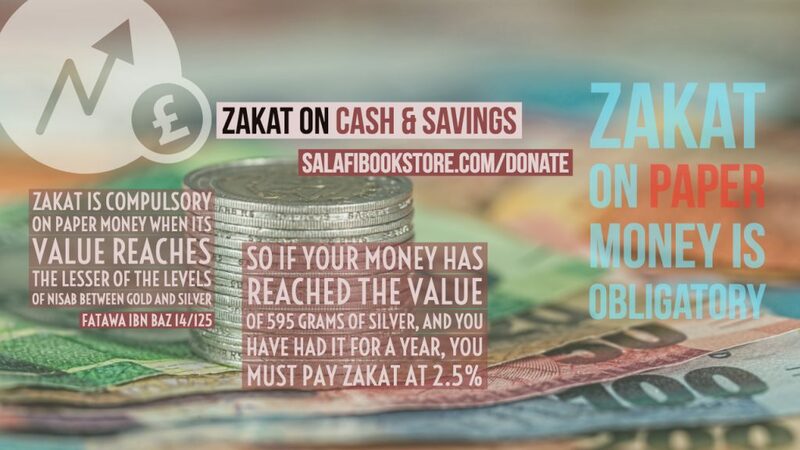 So the one who has cash to this value (or more), he must pay 2.5% of all of it, as Zakāt. The scholars have stated that it is more beneficial for the poor that the measure of paper money is set in accordance with the lesser of the two nisābs. (See Fatawa Ibn Bāz, 14/125, Fatawa Al-Lajnah Ad-Dā’imah, vol. 9/254, no. 1881, signed by Abdullah Ibn Qa’ood, Abdullah Ibn Ghudyān, Abdur-Razzāq Afeefi, Ibn Bāz) Additionally, Al-Lajnah Ad-Dā’imah (the same committee of scholars) stated that the nisāb for silver in the time of the Prophet (ﷺ) was 200 silver dirhams (which is equivalent to 595 grams of silver), so if a Muslim has paper money currency to that value, then Zakāt is to be paid on it. (Fatāwa Islamiyyah 3/163). Shaikh Ibn Bāz stated in his fatwa that Zakāt is compulsory on paper currency when its value reaches the lesser of the two nisābs out of silver and gold. (Fatawa Ibn Bāz, 14/125) And the lesser of the two nisābs is silver in our times. Some mosques collect Zakāt from the congregation and spend it according to the Qur’an and Sunnah (such as salafibookstore.com/donate). Some charities also collect Zakāt – but a person can give theZakāt away himself. In many Muslim countries, the Zakāt is collected by the government and spent accordingly. In the UK and Europe, Muslims must take care that Zakāt or other forms of charity are not given to organisations who support terrorist groups such as Hamas (Palestine), ISIS (Syria and Iraq), Taliban (Pakistan and Afghanistan), Al-Shabab (Somalia), etc. The Zakāt or charity given to them is not considered as valid in Sharee’ah Law since they are not eligible recipients. Zakāt cannot be given for political campaigns or electing candidates into parliament. Zakāt cannot be given for the building of mosques or schools. See above the valid categories. It is an act of worship, a duty to Allaah commanded in the Qur’an. It reduces the suffering of the poor. It strengthens the community – it makes sure that everyone knows and cares about those less fortunate. It strengthens the economy and business in the community by giving more people money to spend. It purifies the halāl wealth and prevents one from being a hoarder of wealth. It makes a person generous and caring and less attached to the world. The Qur’an and Sunnah make clear that those who do not pay Zakāh are sinners threatened with Allah’s punishment in the Hereafter. Withholding Zakāh is a major sin. The two duties of Salāh and Zakāh are linked in the Qur’an. In Salāh, you call upon Allah, and seek His aid and feel the strength of Imān. By paying Zakāt you put those feelings into action and are rewarded for that duty. 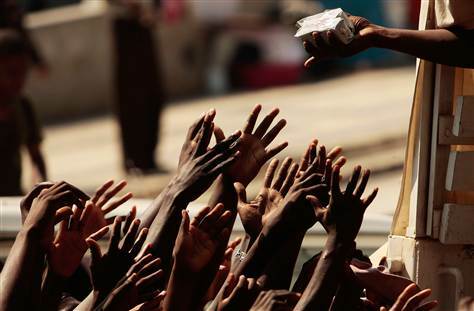 All Muslims are expected to be generous and to give what they can to good causes. Paying Zakāt is an obligation for those blessed with wealth – it is the least that is expected from them. Poorer Muslims are also obligated to be generous with general acts of kindness and charity, but they are not obligated to give Zakāh if their wealth has not reached the nisāb amount. What categories of people is Zakāt given to? What types of possessions is Zakāt paid on? What types of possessions is Zakāt not paid on? What is nisāb and what is its level of gold, silver and cash? “I can see the importance of money and its good effects if it is in the hands of a pious man.” Explain this sentence. I initially compiled these worksheets for my students at the Redstone Academy (aged between 13 and 16 years), Moseley Road, Birmingham, UK who are working towards their General Certificate of Secondary Education (GCSE). I felt that others who do not attend the school can also benefit from these topics since they are presented in simple bite-size chapters. I have relied upon GCSE textbooks (especially AQA Religious Studies) and adapted them for my classes.